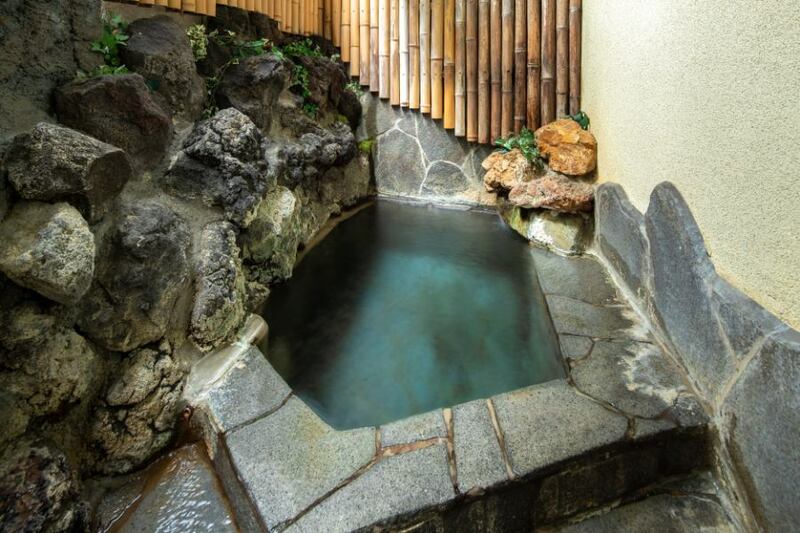 It is an outdoor bath that 100% natural hot springs are added to water without heating. Please use it by tagging for free time. It is said that 40,000 diseases Shima-no-oyu is "a spirit spring that heals 40,000 diseases," and it is said that it is effective for a wide range of diseases. It is said that it is good for your skin if you take a bath and drinking water is good for your gastrointestinal tract. ※Guests staying at the outdoor bath can enjoy it by private charter. We do not have a reservation, we manage it in the tag inside the facility. ※Customers with a tattoo / tattoo refuse to use. ※A hot spring tax of 150 yen will be charged separately for adults per person. Tattoo (tattoo), those with tattoo use of hot springs we refuse. Hotspring tax adult 150 yen separately. Copyright (c) 2018 四万温泉　寿屋旅館 All Reserved.